Charles soundtrack from Last Man To Die: Transcendence has been featured in CNCPTN, an e-zine dedicated to music designed to suit a preconceived conceptual framework. THE LAST MAN TO DIE has been shortlisted for an Artshub Award for Innovation in the Arts. Click here to vote in the People's Choice section. Charles Martin gave a talk this weekend at Electrofringe, a festival of experimental arts and culture during Newcastle's This Is Not Art meta-festival. The talk was about Charles' artistic practice with a particular focus on the interactions between art forms, performers, audience and machines that are at the centre of his work with Last Man to Die. Emma Gibson has written a review of our recent performance/installation for BMA Magazine in Canberra! By far the most technologically impressive feat was a scene about jellyfish – in fact, a type of jellyfish that is essentially immortal. Images of these jellyfish were projected onto the walls and Cormick, fitted with something presumably like a Wii remote, entered the performance space and danced with them. Her movements controlled the movements of the projected jellyfish, flinging them from side to side, guiding them to glide from one place to another. The message – that by controlling the jellyfish, we have the potential to control our own lifespans. Thanks to all who showed up to The Last Man to Die: Installed at the Street Theatre. It was super fun! Special awesome thanks to our friends at National Science Week and The Street Theatre who helped to make it happen! The installation version of our nationally touring production, in Canberra at the Street Theatre for 2 days only! Step into the distant future and look backwards in time at THE LAST MAN TO DIE, an performance/installation from the future that YOU control. Join us as we explore the emotional and social consequences of artificial extension of human life. 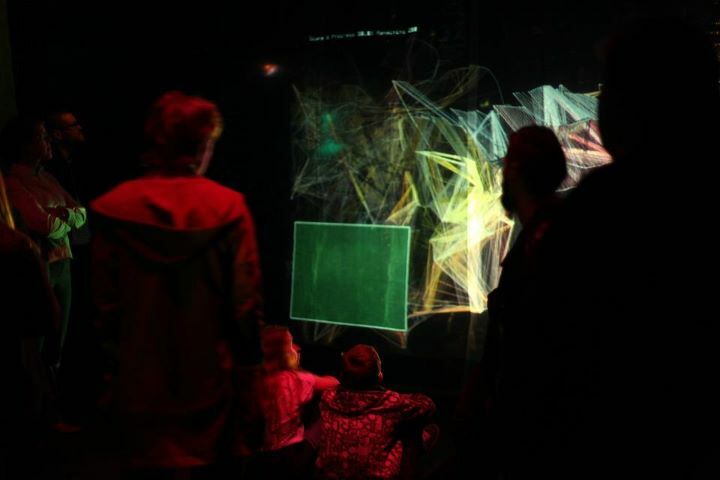 Featuring computer augmented actress Hanna Cormick, Charles Martin's live electro-percussive soundtrack, the interactive visuals of Benjamin Forster and the writing of Peter Butz. 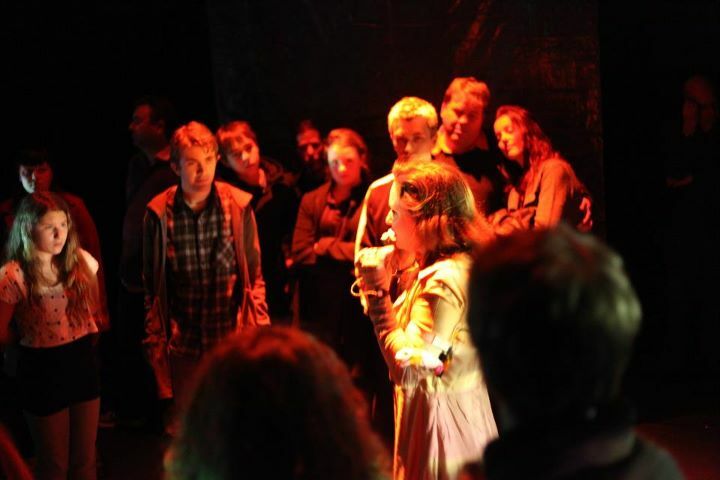 This installation version of the nationally touring performance 'THE LAST MAN TO DIE' is supported by National Science Week 2011. Our work "The Last Man to Die" was reviewed by Douglas Leonard as part of RealTime's writeup of Brisbane Festival Under The Radar. Normally I’m averse to multimedia overkill, but here the futuristic setting warranted, and vindicated, its skilful use, creating a subtly retro aesthetic to match the artists’ retrograde view of the immortality industry. ...caught up in a maze of fine writing by Peter Butz and fine acting by Cormick with whom, as sadistic collaborators with technology, we were forced to repeat in an endless loop. Immortality. The full review is available online at RealTime Arts' website.